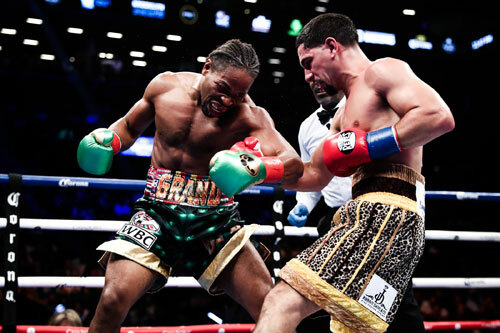 Shawn Porter scored a 12-round unanimous decision over Danny Garcia Saturday night in Brooklyn to capture the vacant WBC welterweight title in the close and entertaining main event at the Barclays Center. 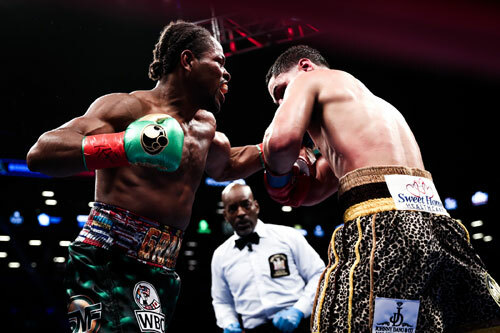 Porter used a greater work rate, throwing nearly 300 more punches, to nip Garcia at the wire of a close fight. Garcia’s punches were cleaner, more accurate, and harder than Porter’s, but it was not enough to win the fight. Porter began the fight in unfamiliar fashion, boxing from the outside instead of his usual crowding and swarming style. The switch-up gave Garcia a clear edge, and Danny took the first three rounds on my card. Garcia was comfortable boxing at this range and began landing powerful counter punches. He cracked Porter with a solid right to end the first and appeared fully warmed up by the third when his rights and left hooks found their mark. 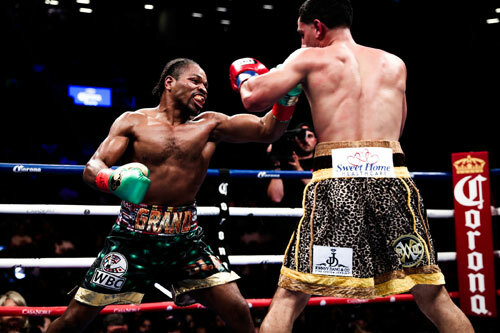 However in round three, the old Shawn Porter surfaced, and this changed the course of the fight. Suddenly, Porter was aggressive, more physical, and brought the fight right into Danny’s face. Porter began to land, and managed a nice right-left combo in the fourth. Garcia dug in and responded with his own punches. Going into the fight, this was the way most of us figured the battle would play out, and the crowd of 13,058 moved to the edge of their seats in anticipation of the fireworks that would surely follow. The action remained consistent in the fight but the things never ignited into full-fledged fireworks. It was more of an aggressive chess match. The missing piece of the war that never quite broke out was Garcia. Instead of fully engaging in the battle, he constantly worked to take the fight to the outside, where he was much more content to box. But Porter would have none of it and continued to bull his way in, punching all the time, and pressing his way toward controlling the fight. Porter began to bank rounds, sweeping the next five on my card. Garcia stayed in the fight and kept matters close with his sharp counters. When he landed, Garcia looked strong, but when he wasn’t countering, he was stalking. Had he thrown more punches, even jabs, while he had Porter at a distance, the appearance of the fight might have swung more in his direction. Instead, Porter controlled the action, forced the fight, and kept his hands in nearly constant motion. Further, when he crowded Garcia, Danny looked extremely uncomfortable. 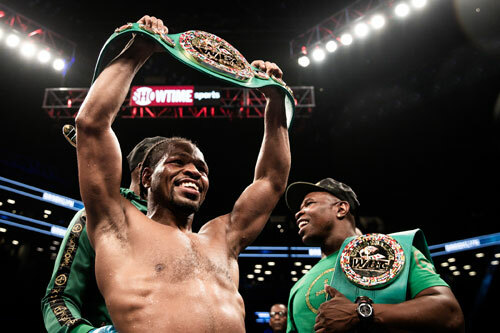 Garcia attempted to hit Porter as he rushed in – and often did with uppercuts and other assorted short shots – but would then force a clinch in an attempt to smother Porter’s output. A smart move perhaps, but not one that helps win a decision. Referee Steve Willis stayed close and kept the fight moving. 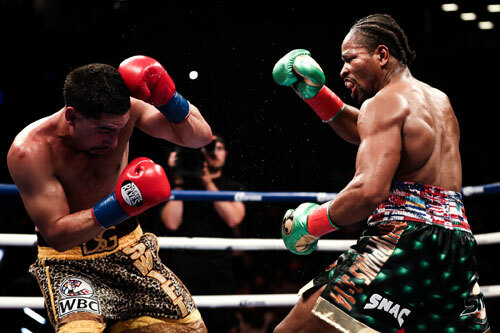 Going into the fight, my expectations were that Porter’s crowding style would put him right where Garcia wanted him – directly in position for his powerful counter lefts and rights. But Garcia did everything he could to get to the outside, and in doing so, appeared to lose a good opportunity. Garcia settled in and fought more effectively in the ninth and tenth. In these two rounds, he was more willing to wage war, and grabbed both rounds from my perspective. The tenth was the best round of the fight. The action was two-way and everything we thought the entire fight might be. This surge by Garcia evened my score and set the stage for a two round finish to decide the outcome. 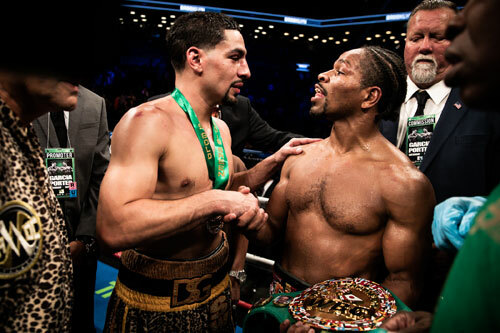 However, in the final two rounds, the pattern reverted to that of the fight’s middle, with Porter effectively rushing and Garcia working for distance. Porter took both rounds to nail down the close victory. The official judges saw a similar fight. Don Ackerman had it 116-112 (8 rounds to 4), while Julie Lederman and Eric Marlinski saw it a point closer at 115-113. 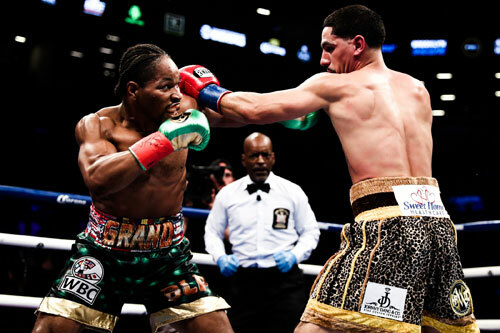 With the win Porter improved to 29-2-1, 17 KOs, and Garcia slipped to 34-2, 20 KOs. It was a very competitive fight and extremely close. Many saw it dead even and some even thought it could have gone Garcia’s way. However, it was Porter’s extra effort that gave him the sight lead he needed to score perhaps the biggest win of his career. For Garcia, it was just his second loss, and each time he fell short only be a whisker. The fight was a good study in the difference between style and effort. Those who thought Garcia won, cited cleaner and more controlled punching as preferable to Porter’s sloppier and more aggressive method. But had Garcia embraced his natural fighting style it might have given him the extra margin he needed. Garcia made his bones in the early days of his championship reign by using his heart, his fighting spirit, and his power to win and defend his title. At some point in his career, most likely after his close call against Mauricio Herrera, Garcia began to mute his slugging and naturally aggressive nature in favor of a smarter, more careful boxer-puncher. He began to fight more cautiously and tried to make us believe it was the evolution of his style. Garcia the champion was smarter and could win fights the smart way. However, as Garcia made this transition, his fights grew quieter and his fan base dwindled. Most importantly, his margins of victory also thinned. He made fights harder than they should have been, and looked less and less comfortable – and happy – in the ring. Maybe it is inevitable that a champion grows more cautions as his empire grows and he has more and more to lose. This caution cost Garcia against Thurman a year ago, and it cost him again on Saturday night. After the fight, Garcia was visibly hurt by the outcome. So intent on winning yet another title, Danny was clearly crushed with disappointment at the post-fight press conference. He had no idea what would come next, but seemed determined to go back to the drawing board and return. He reminded us – and himself – that a champion is always a champion. Clearly Garcia can still be a player in the red-hot welterweight division. He’s lost only to two of the very best at 147, and both times it was merely by a round or two. A few adjustments – like fighting when it was time to fight - and he would have won both bouts. 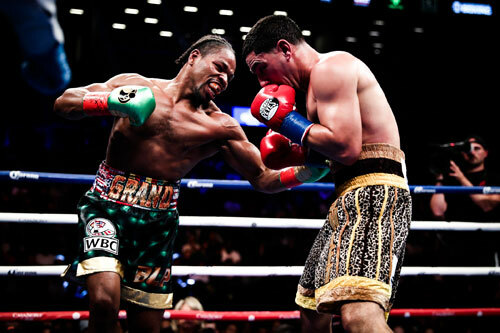 Shawn Porter made the necessary adjustment after round three, and won the fight against Garcia. He tried boxing, or fighting smart as some call it, before reverting to the style that made him the threat in the ring that he truly is. He was true to his ring identity and was rewarded for it. Up next for Porter is one of a number of lucrative title fights against the other top dogs in the welterweight division. Garcia is a good boxer, but he is a better fighter. If Garcia the fighter surfaced more than in spurts on Saturday night, he just might be the WBC welterweight champion today. Instead, he must go back to the gym and find himself. Only then can he return to the welterweight bonanza.